When Matt and I first started dating, somehow the topic of Thanksgiving stuffing and dressing was broached. 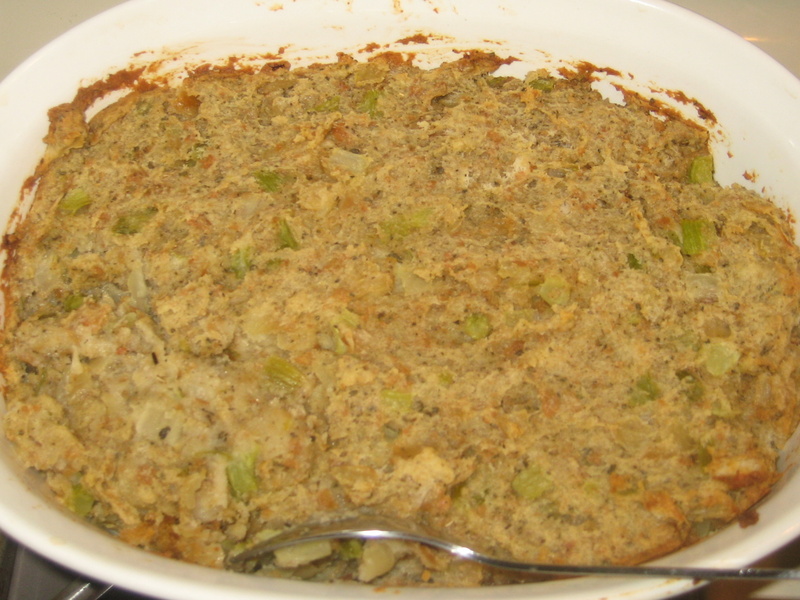 My dad has cooked a number of different types of dressing in my lifetime, like oyster dressing and cornbread dressing. We don’t have a standard family recipe but instead have experimented with a variety of recipes. Matt told me emphatically that there was only one kind of stuffing worth eating, much less cooking, and that was his family’s recipe for stuffing made with hot dog buns. 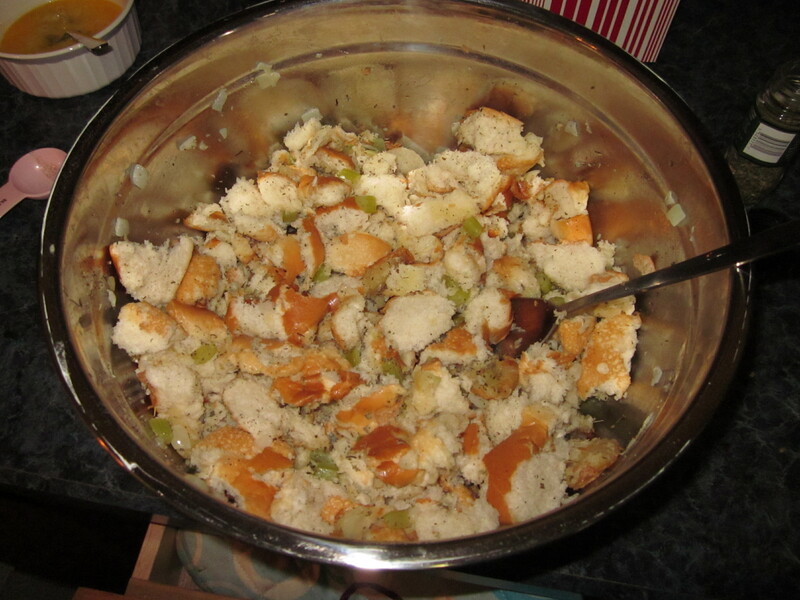 So for our first Thanksgiving together, I tasted, with some trepidation, a batch of this stuffing made by Matt’s mom. And it was delicious! You would never know it is made with hot dog buns, but I think that hot dog buns provide the perfect amount of bread “crust” to soft bread ratio, which makes it just right for stuffing. Now I am a believer. 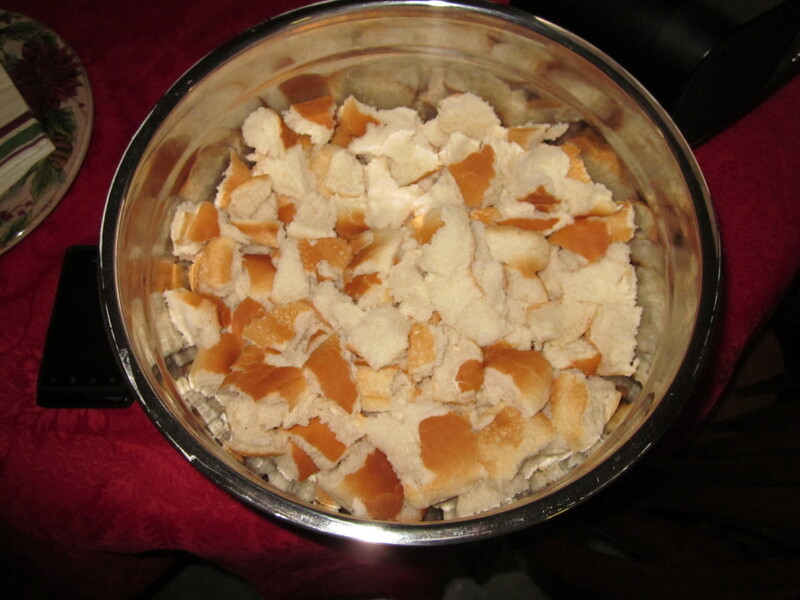 Tear the buns into quarter-size pieces and throw them into a bowl. You may need a large bowl, but the buns will shrink dramatically once you have added the liquid. Sauté onions and celery in the butter and add to buns with the seasoning and toss. 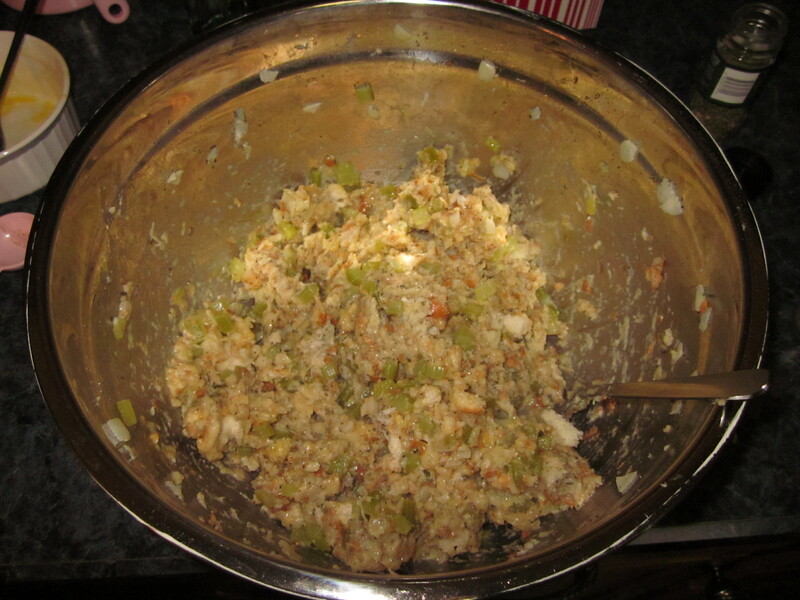 Add liquid slowly, making sure the stuffing isn’t too runny. Beat eggs and add to mixture. 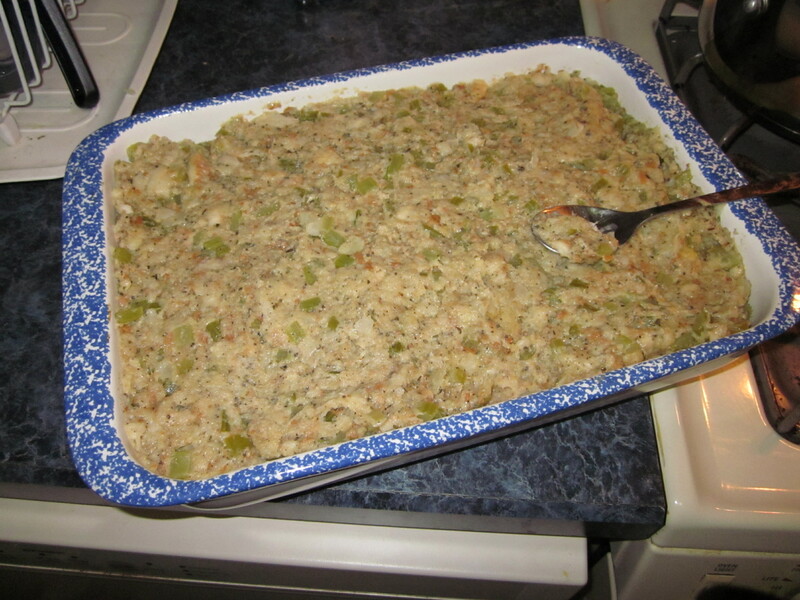 Stuff turkey and bake leftover stuffing in a greased baking dish for 30-45 minutes (or bake all the stuffing)! For the record, this is a double batch below. This was fantastic. Not sure what 2 sticks is, but I used 1/2 lb of butter and seemed like enough. Can you use the Hawaiian rolls mixed with the hot dog buns?